The basic component to becoming a real estate investor is the ability to turn an idea into fruition – but it doesn’t happen overnight. Instead, it commands a well-devised game plan furnished with the tools and mindset for success. 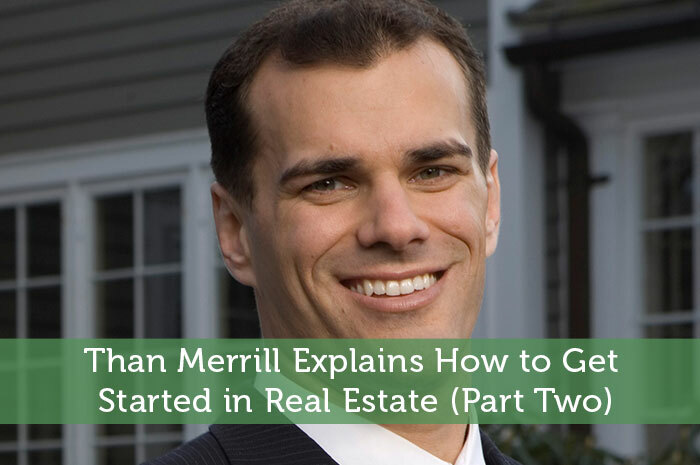 In How To Get Started In Real Estate (Part One), I examined the entrepreneur mindset and daily habits to refine it, including the importance of real estate education when first starting out. This week I’ll center around how to get your business off the ground, discussing the keys to writing a real estate business plan and how to establish brand recognition. As you enter into the real estate investment world, beginner investors need to first understand that a business plan is your compass to success. This plan is what will keep you on course to achieving the goals you originally set out to accomplish. There is nothing that has the power to put you on the path to success quite like a well devised business plan. Executive Summary: This is essentially an elevator pitch for your company. It will be comprised of a mission statement, company description, growth data, products and services, financial strategy and future aspiration. When drafting the executive summary, be sure to be concise as this will serve as the first impression for your business. Identify your business and how it will meet the needs in a marketplace. Repeat how the services and products will meet the needs of the local area. Construct a list of consumers, organizations and businesses you intend to serve. Explain in details what advantages your services and products offer over the competition. Organization & Management: This section highlights the company’s organizational hierarchy. It reveals details about the ownership and management team, including a detailed description of each department and its function, as well as the skill sets in place to provide successful implementation of the business plan. In addition, this section should include the legal structure of your business and whether it’s incorporated. Services & Products: This part is dedicated to the goods and services you intend to offer customers. Make sure to provide the benefits of your offerings for the market, as well as how it meets the demographic of your target audience. At the least, this should explain why consumers should choose your product over the competition. The second phase of the business plan is establishing brand recognition; one of the most important aspects of your real estate business. In fact, the most successful real estate investors are always the most successful marketers. The importance of brand recognition comes down to building trust among customers. “Your brand makes your customers trust you before you deserve the trust,” says Barbara Corcoran, a real estate mogul and Shark Tank celebrity. In order to fortify trust, investors will need to develop a brand strategy. Define Your Brand: What is your competitive advantage? What makes you remarkable? The key to branding yourself is the ability identify your business’s purpose, strengths, values and passion. I recommend investors to first pinpoint phrases that best describe their expertise and then identify words that best describe their personality. This will help to formulate the basis of your brand. Define Your Audience: Similar to your business plan, you’ll need to determine who your target market is. This will entail age, gender, personality and profession, as well as identifying how to solve your customer’s needs. Consider niches in your local market that aren’t be capitalized. Once identified, your brand should be tailored to speak to this specific audience. Define Your Competition: They key to standing out among your competitors is understanding how they operate. As a beginner real estate investor, it’s important to gather intelligence on who you’re up against in order to understand your brand position in the market. This will also enable you to understand your competitor’s strengths and weaknesses, including potential threat they may pose to your business. Bring It To Life: Once you’ve formulated the premise of your brand, it’s time to get the word out. Today’s modern age of technology affords investors with limitless channels such as websites and social media to promote their brand. The key is to be persistent, no matter what channel is used. Research shows that consistent brands are approximately 20 percent more value than erratics brands. Getting started in real estate takes a commitment to not only building a business, but building a brand; The two are intertwined and essential to succeeding in real estate. As a beginner investor it’s vital to understand the importance of your business plan and branding, and how they help guide your business on the path to success.